Using a fully integrated HR system to streamline and improve overall operations can help companies become leaders in their respective industries. Today, most companies use some form of HR system for payroll and HR record-keeping. However, top organizations are turning to human resource information systems (HRIS) for all of their HR needs. With an HRIS, companies can align HR strategy with business objectives to get the most out of their workforces and adapt quickly to market changes. 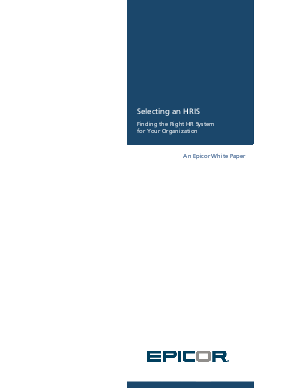 In this white paper, learn the steps to finding the right HRIS for your organization.